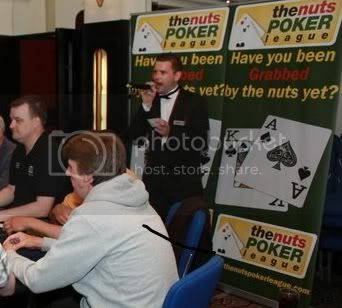 You should use Stuarts layout, it is identical to the UK casino's (cardroom magic) only better. Just noticed my web link is not working. Working now, forgot I had changed servers. Just wanted to say thank you! I've added the HQ blind level announcement to our levels. Everyone gets a kick out of it. First off, thank you for supplying the voice overs. I have a question for you, is there a voice over for 2500 and 5000? If so, would you be able to provide it? hi mesnik, i'm afraid not, although you could easily "cut n' shut" the 25-50 and add the word thousand to the end of each amount from a thousand announcement, I experimented and made a 12,000-24,000 but I didn't have the finesse to make a good job of it, so it sounds rather tatty compared to the others, which is why it is not included on the thread. Thank you so much for your quick reply. I will try what you have suggested. Stuart, could you please let me know if this is adequate? I´m looking for sound: blinds are 1200 and 2400 with ante 300 or 400, it does exist in wsop tourneys, anybody?